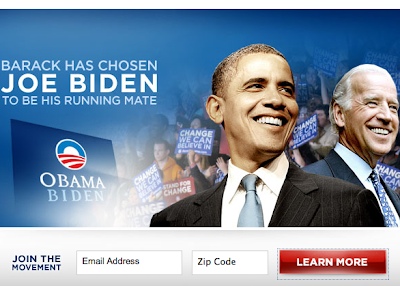 There is no way to access the Obama campaign web site without surrendering your email address and your ZIP code. Where the hell are his usability folks looking? Apparently, if you retype the address and hit enter, you get put through to the actual site. Still, piss-poor way to treat your users.